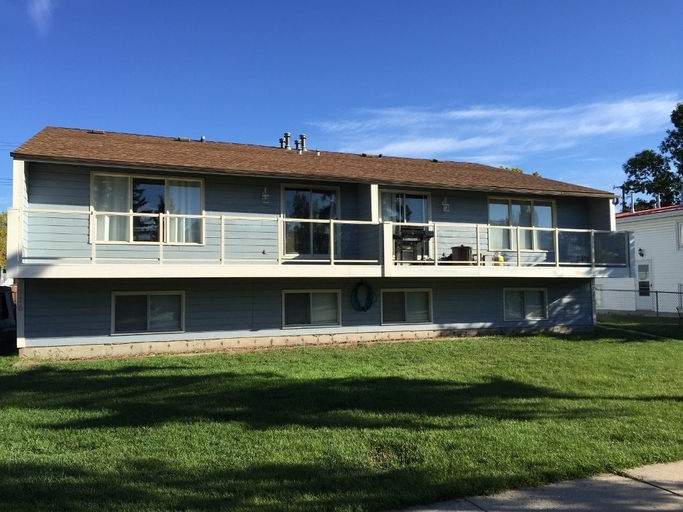 This updated 4 Plex is located in Millcreek Meadows. A quiet community near the Millcreek Ravine and close to Whyte Ave and Bonnie Doon Mall. This is a great place to call home! The large windows fill the spacious living room with light highlighting the gorgeous flooring. The dining room also is filled with light by large windows. an overhanging light makes for the perfect place for a kitchen or dining room table. The kitchen is roomy and has ample counter and cupboard space. The beautiful back-splash and counters is sure to impress! The kitchen includes fridge, stove, dual basin sink, and even a dishwasher! The large bedrooms are carpeted and spacious with closets. The updated bathroom has a tub shower and adorable sink cabinet. Not to mention this unit has its own in suite laundry! Plus there is a large gravel parking pad in the rear of the building with outlets for your cars. You will enjoy this great location with easy access to Whyte Avenue, U of A, biking and hiking trails and public transportation. Easy access to all major road ways.